Welcome back to the podcast after a lovely wee break. 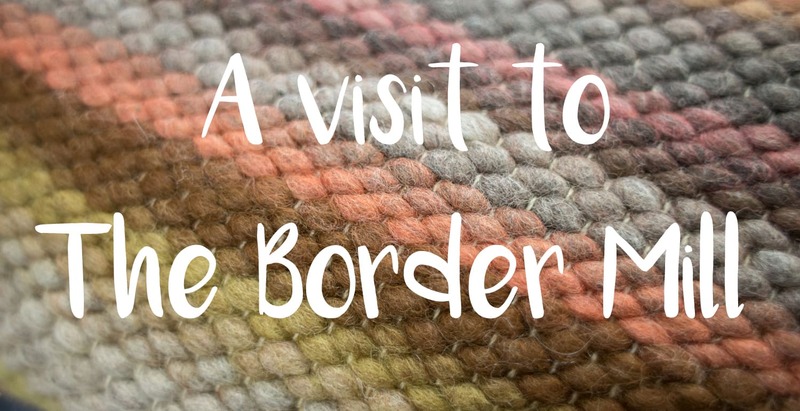 I am jumping straight back into the action with a really wonderful tour of The Border Mill. John and Juliet Miller decided to make a career change 5 years ago. They already had a 2 acre walled garden where they kept their growing herd of alpaca and, after long waiting times to have the fleece spun (and often large minimum batch size requirements) they decided they would set up their own small scale fibre mill, specialising in alpaca. John and Juliet take minimum fibre batches of 1.5kg and as soon as they opened it was clear that there were a lot of clients who also wanted to spin small batch alpaca fibre, sheep wool and other fibres. 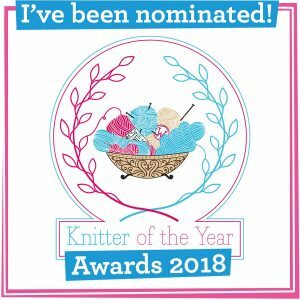 It wasn’t until 2013 that they started to produce their own alpaca yarn, for the first Edinburgh Yarn Festival and their own range has grown exponentially since then. The Border Mill range now includes a lopi-style yarn, blended with Falkland merino, alpaca and mohair, alpaca and BFL, alpaca tweed and the forthcoming alpaca and silk. The Border Mill also works closely with clients to ensure that the fibre they send to the mill becomes the best possible yarn for their needs. Their clients include Sariann Lehrer, who produces the single breed, single flock Chopped Ginger project and Hooligan Yarns, who sell single sheep yarns – if you have worked with, squished or seen these particular yarns you will be well aware of how special these yarns are. John gave us a tour of the mill and the entire process. Please listen in to the episode and join is on that tour – grab your WIP and drink! The Border Mill is situated in Duns, in the Scottish Borders and is about an hour drive from Edinburgh. We were greeted with a hum of machinery and a very warm welcome from John and Juliet and the small team at the mill. It was fascinating to be introduced to each stage of processing, from tumbling to washing and then watching little locks of dried fibre go through the fibre separator to become veritable alpaca clouds! John – The Master of the Machines! After going through the separator the fibre then goes through a semi-worsted process to create slivers of fibre, which are then combined and pulled through a draw frame to even out the slivers. It was so interesting to hear about the different clients that the Border Mill have and the different fibres (even dog hair!) and it is very clear that John and Juliet are dedicated to creating a beautiful product for their clients – from assessing the fleece when it first comes in, to quality control and weighing and measuring at every stage. They create various different weight yarns from a 2ply through to a very thick rug yarn – which I rather fell in love with! The spinning frames take those slivers and create the yarns. A very satisfying process to watch! and after a steam the yarn is ready to be skeined up. Some clients send their fibre to the mill to be created into textiles. Juliet is a weaver and is often commissioned to create beautiful cloth. They have recently been experimenting with weaving with rose fibre, the shine of which just cannot be caught on camera and must be seen to be believed! The full range of The Border Mill yarns have just been uploaded into their online store. 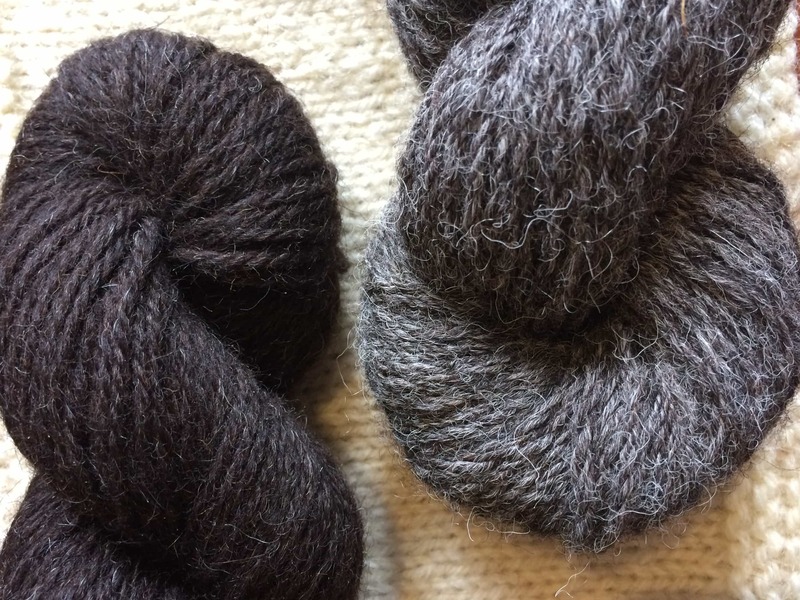 They debuted their alpaca and mohair and lopi-style yarns at Edinburgh Yarn Festival this year. Loop in London love their Alpaca Tweed so much that they commissioned several unique colourways which are exclusive to Loop. They also stock some lopi yarns, as well as handwoven items too! I bought some of their amazing hand-dyed alpaca roving, which spun like an absolute dream! It is no wonder spinners keep on going back just for the roving – so soft and easy to spin from the centre-pull bump. At Fibre East later this month (30th-31st) , John and Juliet will be vending and launching a very special yarn. The Alpaca and Silk is a 70/30 blend of silky soft yarn. The silk is dyed (in a whole series of lovely deep, satisfying shades) and combined with natural alpaca to create a really lovely effect. I will be reviewing the yarn on the blog next week – but it really is as beautiful as it sounds! Thanks so much to John and Juliet, and the mill staff for giving us the tour and such a fascinating insight into the mill. If you are heading to Fibre East make sure that you pay their stall a visit and see all of these glorious yarns! 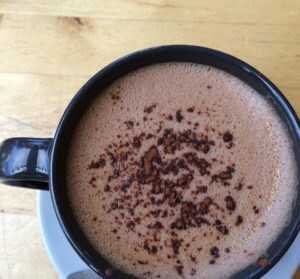 If you can’t get to FibreEast then do check out the Border Mill at their online spaces. I’ll be back with a chattier episode at the end of the month, with news of the #bookofhapsalong and a good old catch up. 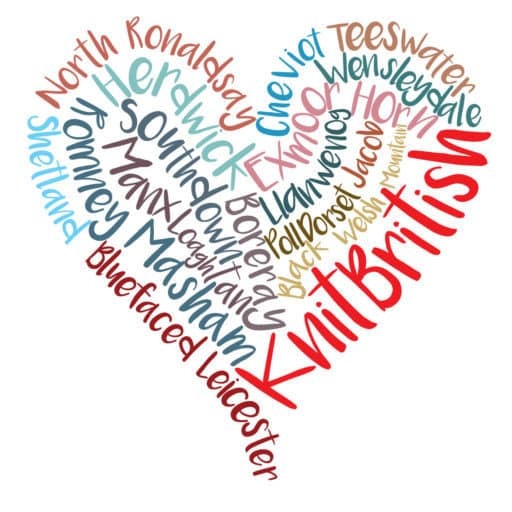 Don’t forget to join us over in the KnitBritish Ravelry group and thank you for all your tweeting, retweeting, commenting, sharing and messages about the podcast and the blog. I loved listening to this interview, it was very interesting to learn about how the alpacca fleece is treated, the processes involved and also about the different blends Border mill works with. It sounds like you had a fun time squooshing and squidging all that yarn. It was fascinating to listen to this interview and see the pictures from your tour. I just recently bought two skeins of alpaca blend sock yarn from Meadowview Alpaca Farm (they are on Ravelry) at The Royal Winter Fair in Toronto. I was able to have a good chat with the woman who owns the farm with her husband. She told me about the mill where their fibre is spun as well as lots of other very interesting facts. The fibre that I bought is from Adventure, whose photo is on the label. The farm is located in Bruce Mines, Ontario which is about 7 hours north of where I live. The brown yarn is hand dyed- one skein is a wine colour and one is a forest green. I am hoping to make socks for my husband for Christmas with this local-to-me yarn. Thanks so much for this wonderful episode, which I am just listening to in 2017! I found the episode very informative regarding alpaca fiber. I bought four skeins of light dk from an alpaca ranch in Colorado I visited. I have been hesistant to start working with the alpaca yarn because of all the seemingly conflicting knitter opinions about pure alpaca yarn that I have read. 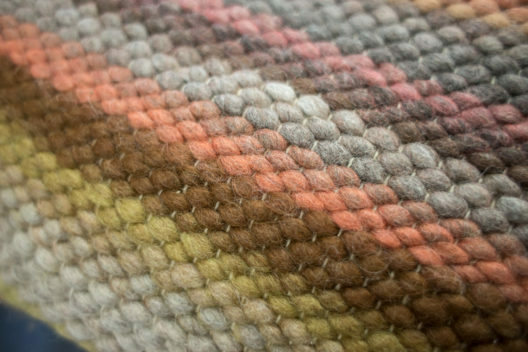 I look forward to reading through the Border Mill website (which I have found in the show notes, thanks), and which appears to have a lot of further information on this fiber. This episode has inspired me to get going with my yarn! I’m crossing my fingers hoping that The Border Mill will strike up a relationship with The Woolly Thistle in the U.S. so that gorgeous yarn will be easily available over here. I really want to check out the silk blends.